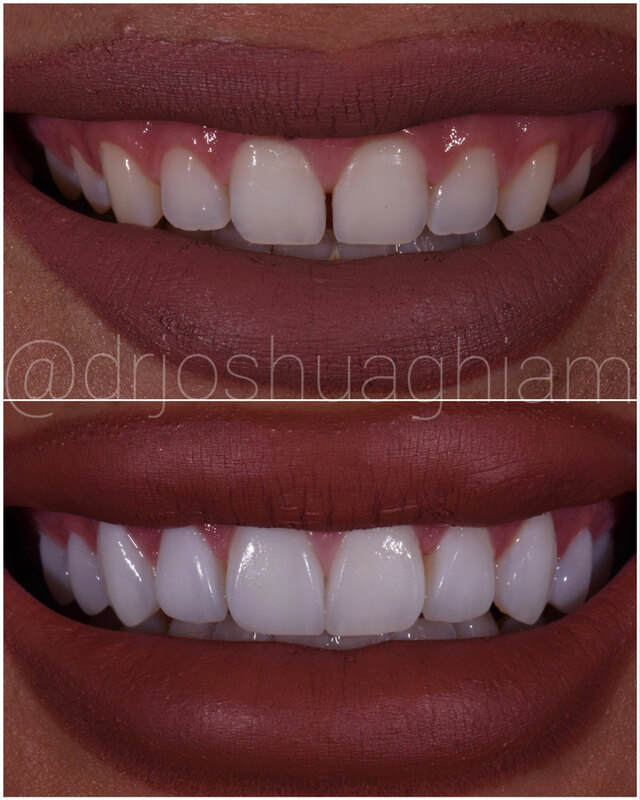 Treatment of 10 NON PREP Porcelain Veneers were used in this case to close the gap, repair the chip and staining present on the front teeth in addition to correcting severe wear from grinding the teeth during sleep. This patient's natural teeth were not shaved down or altered in any way. 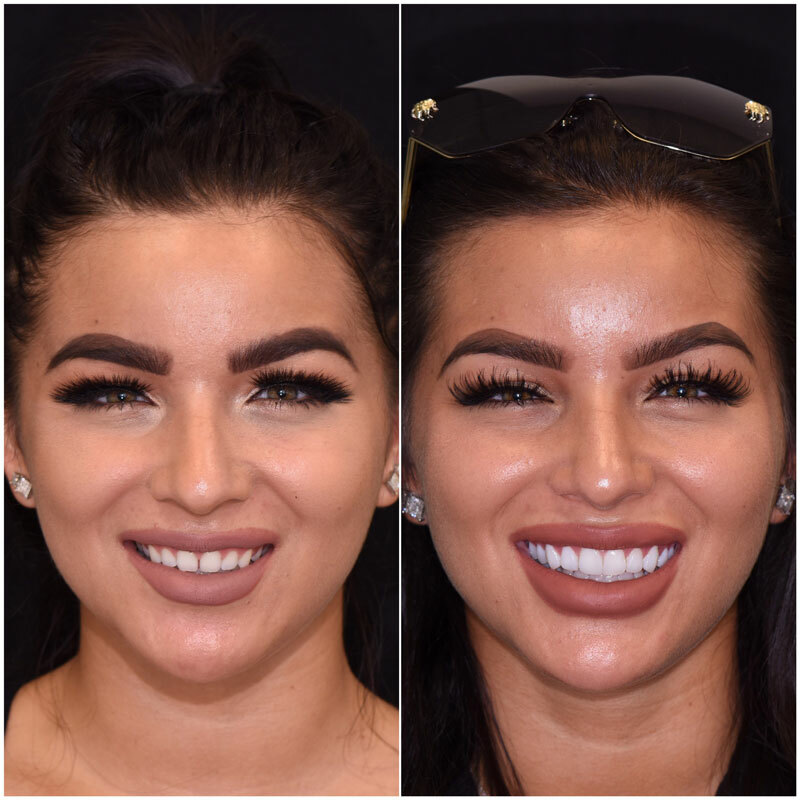 The NON PREP Veneers were bonded directly on to her teeth. The purpose of the treatment was to restore lost tooth structure while also enhancing the color, shape and the position of the teeth. A Gum Lift was performed to correct her Gummy Smile. A laser used to removed excess gum tissue with zero pain or down time. A contact lens thin layer of highly aesthetic porcelain is bonded directly to the existing tooth. The results are noticed immediately. The procedure takes 2 visits which last 2-3 hours each. Only local anesthetic is used with minimal to zero down time. This procedure is almost always painless. 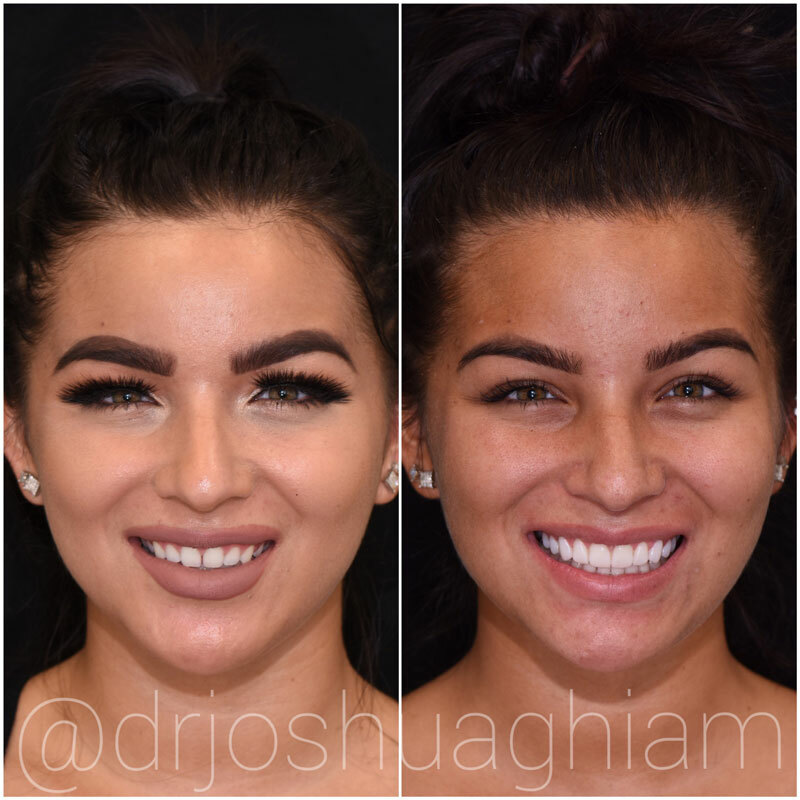 The strength of well-placed Porcelain Veneers by Dr. Joshua Giam is similar to that of natural tooth structure, lasting many, many years.